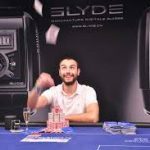 Romain Arnaud defeated fellow Frenchman Rui Cao in heads-up play to take down the PokerStars Live Jeju Red Dragon Super High Roller. 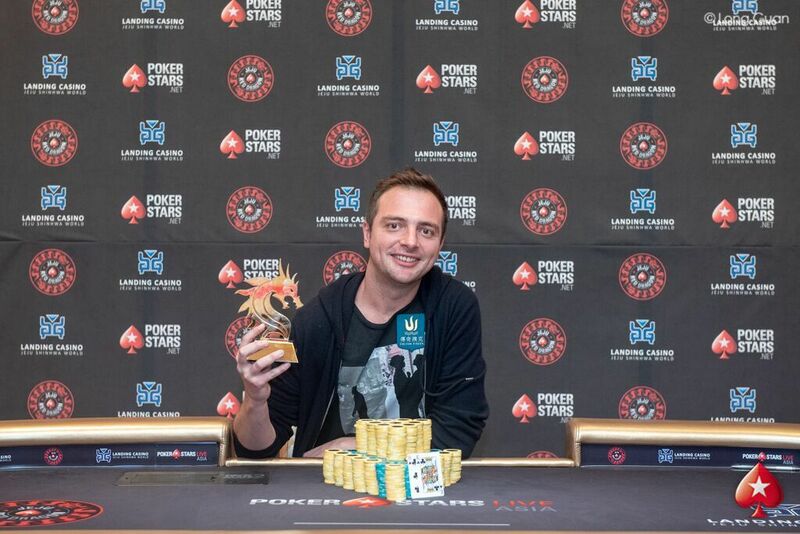 Arnaud won 748 million South Korean won ($703,000) for winning the tournament, which boasted the largest ever prize pool for a PokerStars event in South Korea at just over SKW 2.5 billion ($2.26 million). That more than doubled the guaranteed prize pool, as a total of 44 entries were received for the tournament, including 13 re-entries. The top six players were paid, and outside of the top two finishers, the rest of the final table field hailed from Asia, with three players representing Malaysia finishing inside the top five. 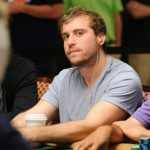 Arnaud entered the final table with a commanding chip lead, having nearly double the chips of his closest competition. By the time the first break hit, three players had hit the rail, leaving only Arnaud, Cao, and Michael Soyza to battle for the Super High Roller crown. At this point, the three players saw their fortunes ebb and flow regularly. Arnaud started with the lead, but Soyza managed to overtake him at one point before being eliminated after a pair of flips that didn’t go his way. It started when the Malaysian put his A♣T♠ to the test against Cao’s 9♦9♠, only to fail to improve. That gave Cao the chip lead and left Soyza as the short stack. On his elimination hand, Soyza had the made pair with 2♣2♠ on the button, only to be called by Arnaud, who was holding A♠Q♣. A queen gave Arnaud a better pair, eliminating Soyza in third place, earning him SKW 376.2 million ($339,000) in prize money. With the two French players remaining for the heads-up battle, the pair decided to chop the prize pool based on ICM, then go blindly all-in to see who would walk away with the trophy as the official winner. Arnaud had the chip lead, but lost the first hand to put Cao back on top. After several more hands of back and forth action, Arnaud’s K♣8♣ beat Cao’s T♣2♦ to end the tournament and give him the victory. Based on the deal the players agreed to, Cao walked away with SKW 694.1 million ($626,000). “Everyone played well at the final table, and it was nice to end up playing heads-up against my very good friend Rui Cao,” Romain told PokerStars after the tournament ended. While Romain is no stranger to high stakes poker, he may not be a familiar name to many fans of the game, as he rarely plays tournaments. 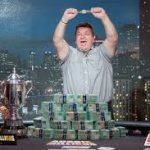 In fact, he had just one tournament cash before this weekend: a ninth place finish at a 2016 Triton Poker Super High Roller Series event in the Philippines, which earned him a little over $200,000. The PokerStars Live Jeju Red Dragon 2018 series runs through Dec. 9, and features a total of 20 events. The main event – known as the Red Dragon – begins on Thursday.